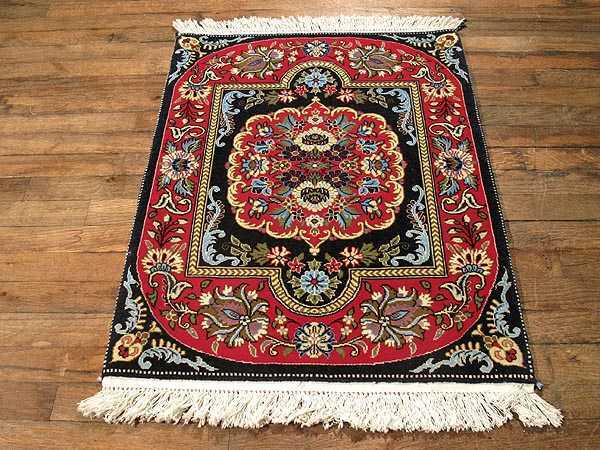 "The outstanding Quom carpet available on the market today is the product of the city’s expert weaving skills, professional dyers and masterful use of color. A Quom rug can feature lavish vinescrolls rendered in a curvilinear city style or pictorial scenes featuring historically important stories and events. The Quom carpet known today was developed in a diverse city with strong religious traditions encompassing many different cultures. The traditional Quom rug is typically made with silk or fine wool that upholds the city's international reputation for quality. Ord#11081"